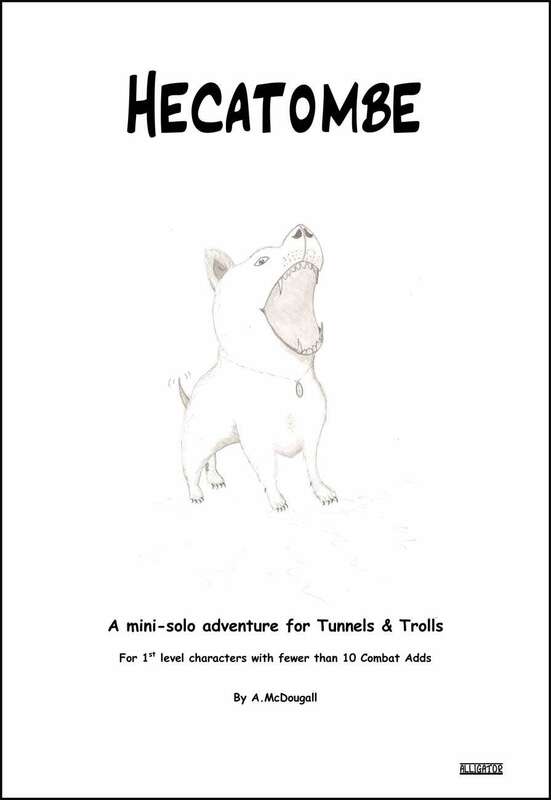 A solitaire adventure for Tunnels & Trolls, 1st level / beginning characters with fewer than 10 combat adds, from new T&T publisher Alligator. A short-cut through the woods turns into a slaughter-fest as your bewildered character hacks and chops their way through an entire encampment of bizarre warrior-druids. With great variety and replay value, this mini-solo is excellent as a training module to put your new characters through. Accepts all character types.